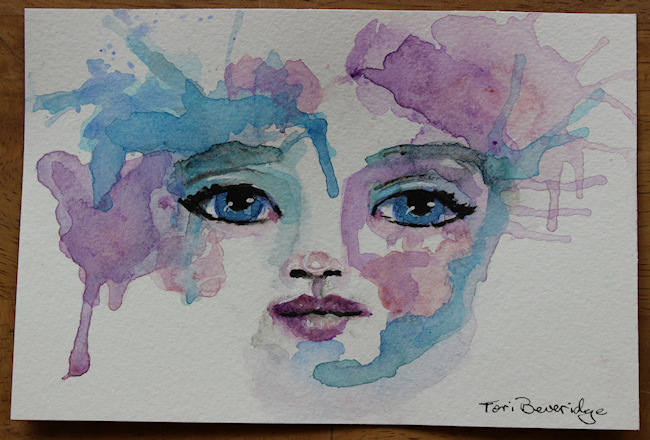 Painting 30 paintings in 30 days is no easy task! I have three paintings that I am working on right now that are in various stages of “unfinishedness”. Lots of layers and lots of drying time and a fair share of repainting or painting over things. They will be finished eventually, I’m just not sure when. 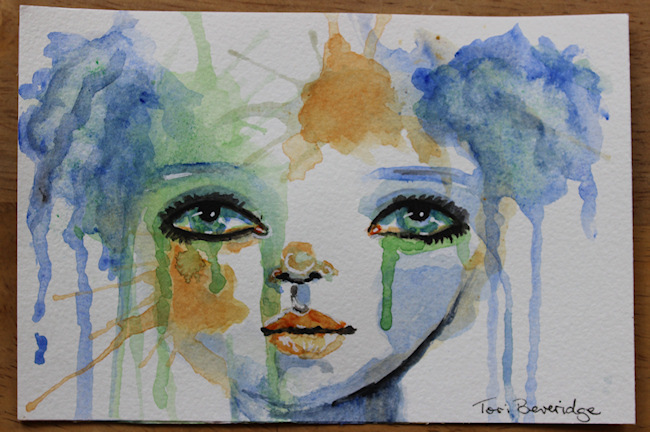 So I don’t fall too far behind, I painted two more splattery, drippy watercolor faces. Thanks for having a peek today. Have a beautiful day and don’t forget to visit 30 Paintings in 30 Days for links to what other artists have created today. 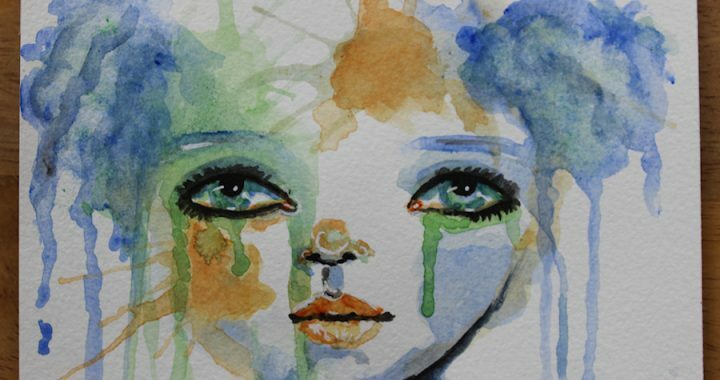 Posted in 29 faces, 30 Paintings in 30 Days, Creative Every Day, Thirty Paintings in 30 Days and tagged 29 Faces, 29 Faces in September 2016, drippy girl, drippy watercolor, face, portrait, watercolor painting. Your faces have so much emotion. The drip techniques works so well with these.